TRAFFIC OF INFLUENCE: Series of work in progress to re-signify the personality of statues and public monuments. Recreate dormant memories, tell stories and bring reflections about important people that had been forgotten or has never heard about. 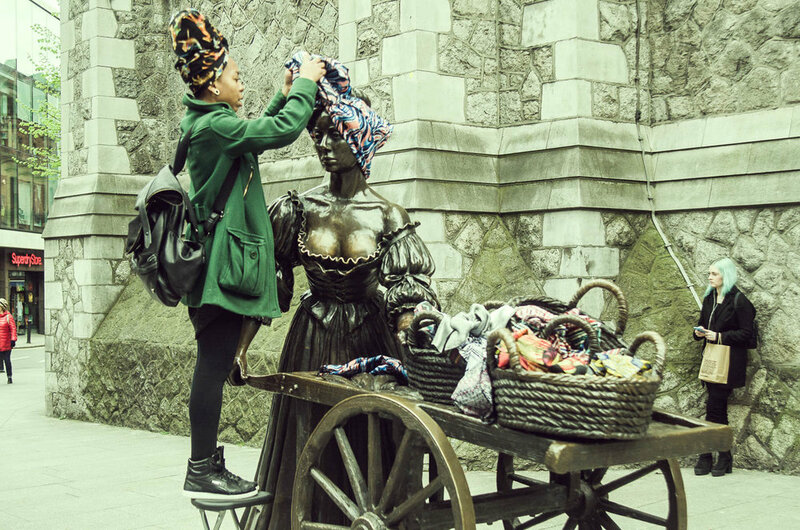 Ganhadeiras X Molly Malone Were called "Ganhadeiras" black women (enslaved or already free) who were on the streets offering various types of services, such as washing clothes, the manufacture of some medicines, take care of some trades and sell products, specially food. 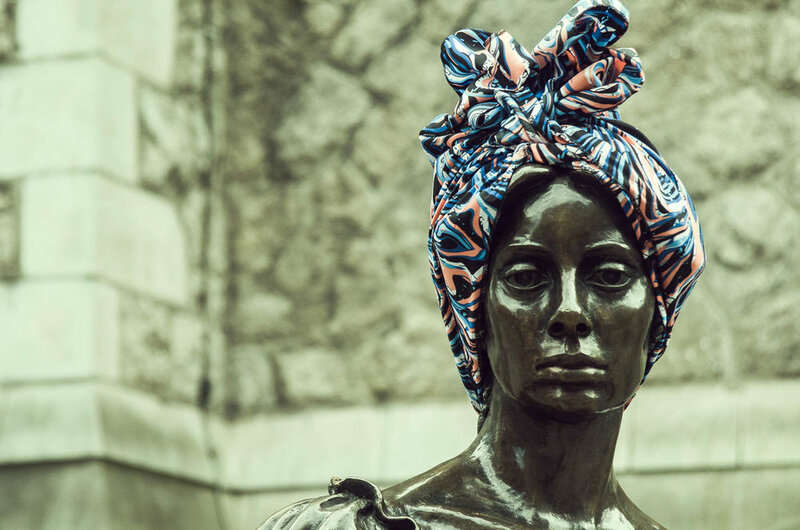 The majority use to walk around with their food trays or baskets on their heads, or a minority, in fixed points in the city, what became more common for the Baianas of Acarajé.